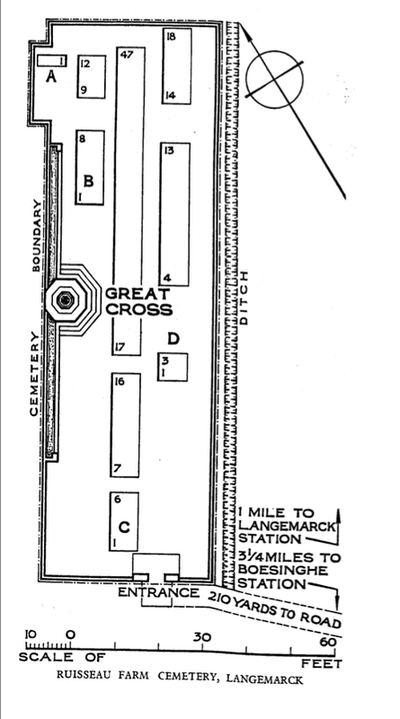 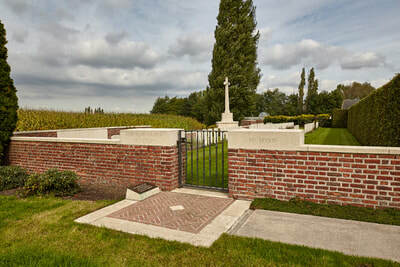 Langemark is located north of the town of Ieper off the N313. 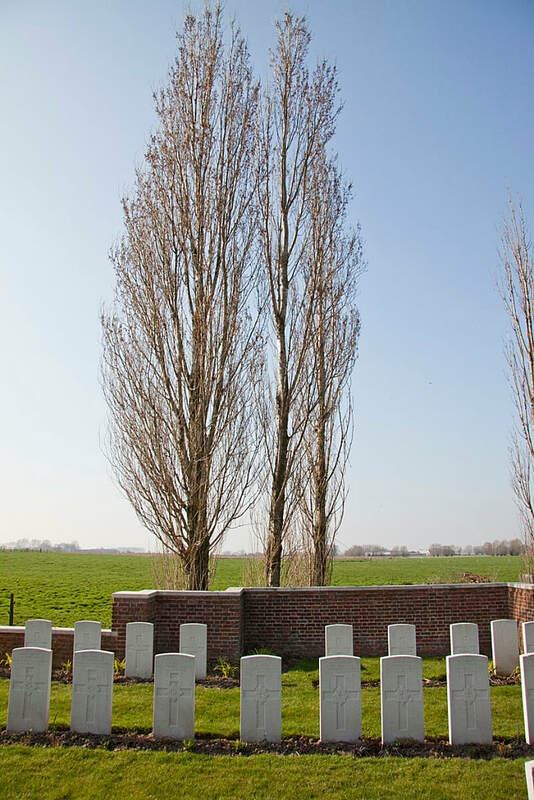 From the Markt take the Statiestraat, in the direction of Bikschote, go over the disused railway and then take the first turning left, Melkerijstraat. 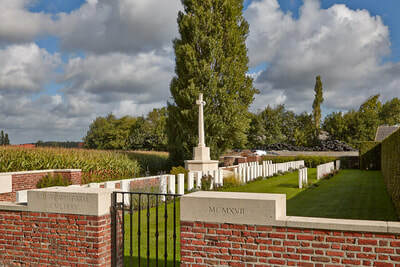 Follow this road for approximately 800 metres, past the milk factory where there is a sharp right hand bend followed by a sharp left hand bend. At the left hand bend there is a track going straight on which leads to the cemetery. 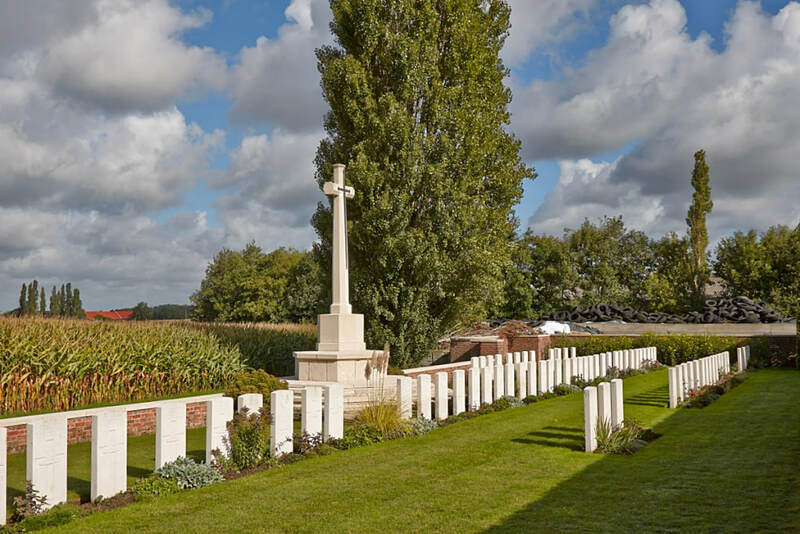 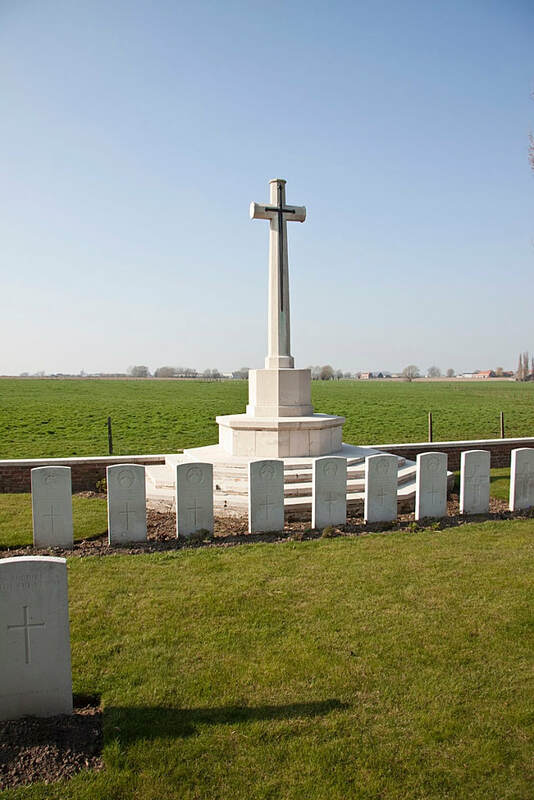 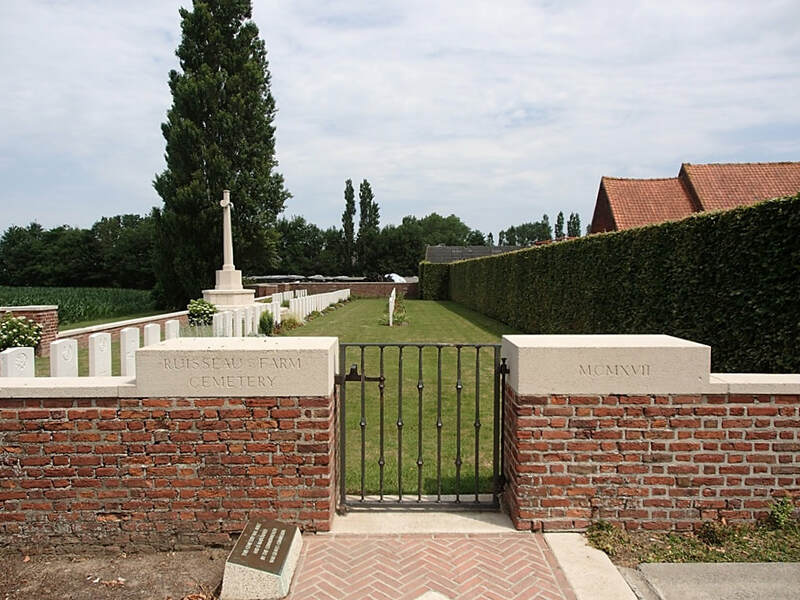 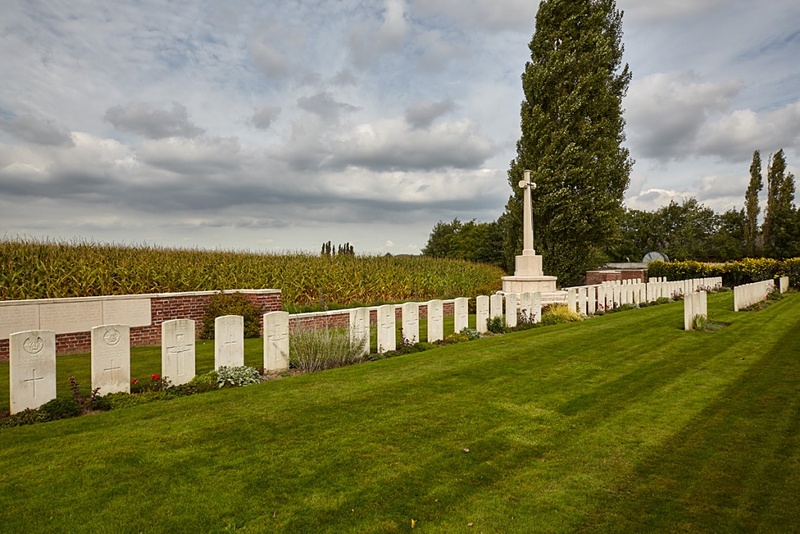 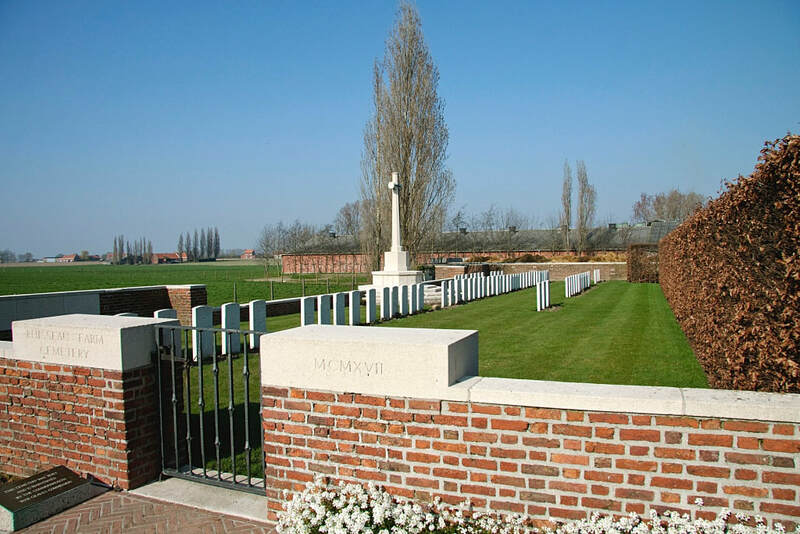 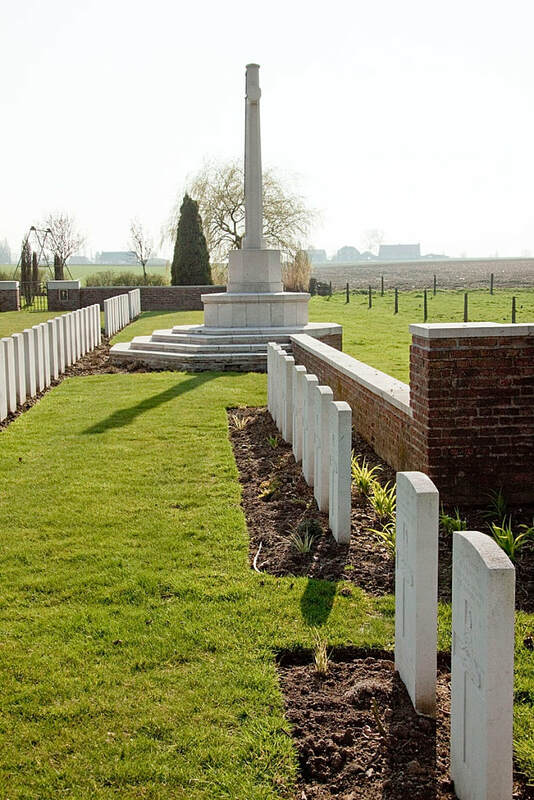 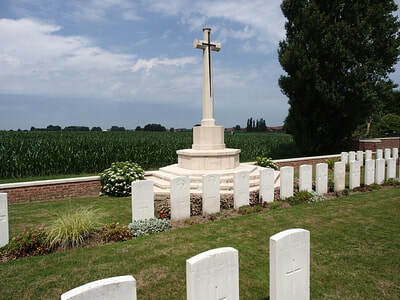 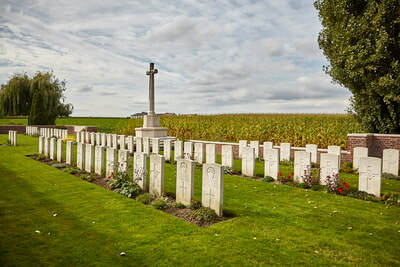 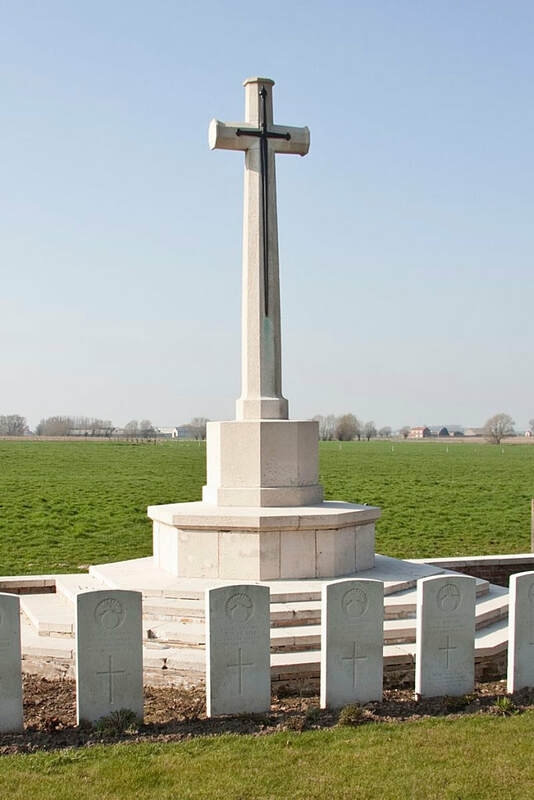 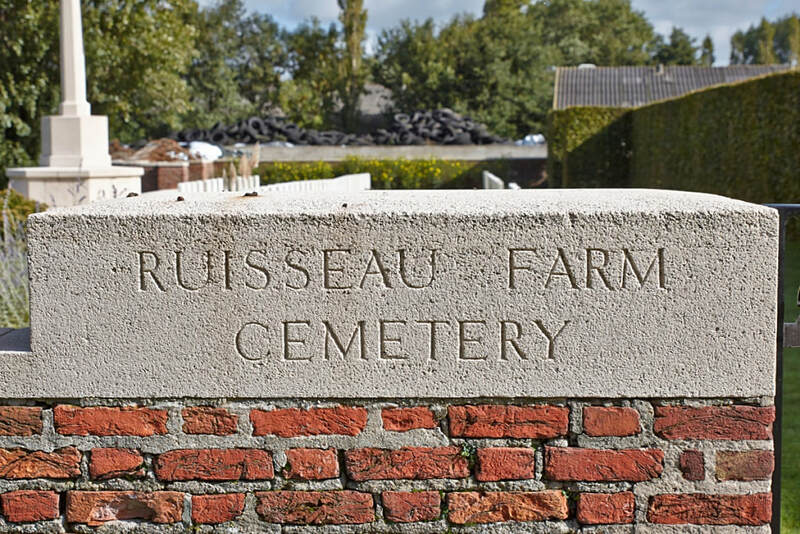 Ruisseau Farm was taken by the Guards Division, fighting alongside French troops, on 8 October 1917 and the cemetery was begun by the divisional burial officer when the fighting was over. Later burials were made by artillery units and the cemetery continued in use until the end of November 1917. 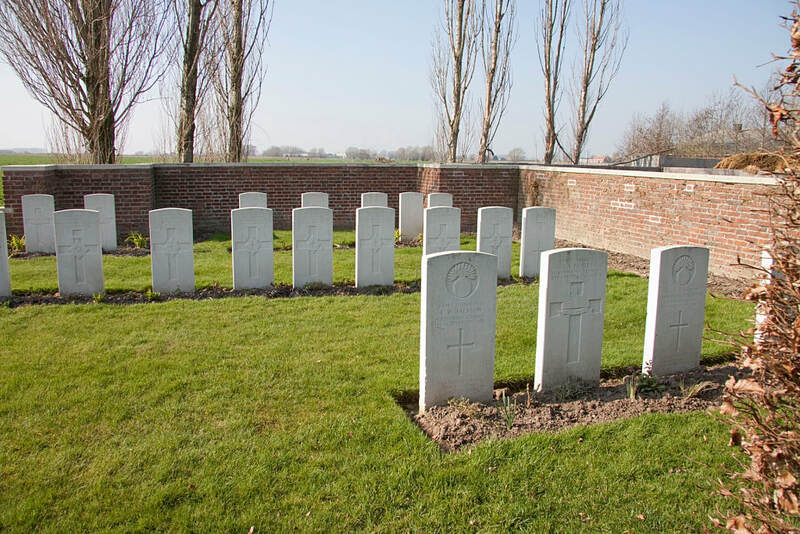 Ruisseau Farm Cemetery contains 82 First World War burials, six of them unidentified.